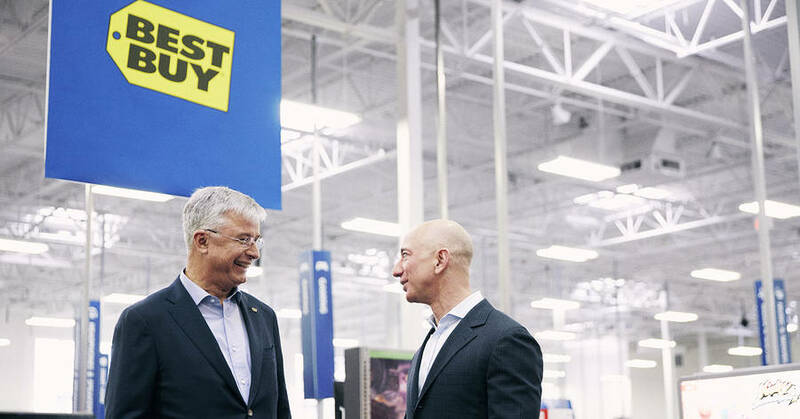 Amazon CEO Jeff Bezos and Best Buy CEO Hubert Joly revealed the partnership on Tuesday at a Best Buy store in Bellevue, Wash. The companies will sell 11 models, starting this summer with TVs by Toshiba and Best Buy house brand Insignia. Best Buy will feature the Amazon-powered TVs in its stores and on its website, and also become a merchant on Amazon’s website, where it will sell these TV sets exclusively.